Cristiano Ronaldo is better than Lionel Messi: Carlos Varela has insisted that Real Madrid attacker Cristiano Ronaldo is way better than Barcelona star Lionel Messi. 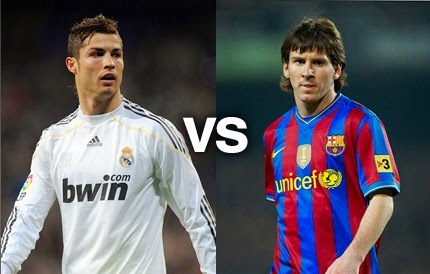 Carlos Varela has insisted that Real Madrid attacker Cristiano Ronaldo is way better than Barcelona star Lionel Messi. Varela told that Ronaldo is not like Messi who is just proving himself at Barcelona. Ronaldo has already proved in England when he was at Manchester United. People who thinks Messi is better than Ronaldo are jealous from the Ballon d’Or winner. The former Basel man also added that Messi cannot even reach the level of the Portuguese man. The 29-year-old is the favourite player for the coming Ballon d’Or award, if he wins then it will be his third Ballon d’Or. Former Basel midfielder told Spanish media AS that the only reason why Ronaldo has less Ballon d’or is the jealousy. People have created a negative impact of him. Ronaldo would have won more Ballon d’Or than the Argentinean if he were ugly. His smartness, physic all are the major reasons of jealousy. Messi who has won four Ballon d’Or awards recently became the all-time top scorer in La Liga and Champions League with 253 and 74 goals, respectively. Ronaldo who has scored 277 goals in 264 games since his move to Loc Blancos from Manchester United in 2009 is continually compared to Messi who has scored 371 goals in 442 appearances.